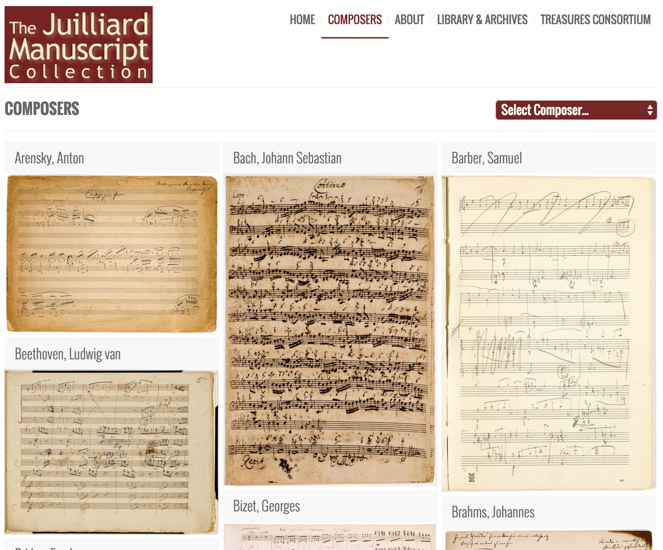 One of the finest private collections of music scores, autograph manuscripts, sketches, engravers proofs and first editions to be amassed in the last century was gifted by Bruce Kovner to the JulliardPri Library. The collection includes rare materials of great interest to performers and scholars. Among the 140 priceless works of the collection are Mozart’s handwritten notes for the Marriage de Figaro and Beethoven’s 9th Symphony. The entire collection has been digitized and uploaded to the web by Ardon Bar-Hama, so the public can view the manuscripts online at ultra-high resolution.